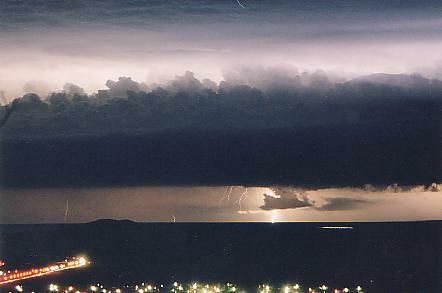 Another good storm from early 1998. This storm had some of the most powerful and frequent cloud to cloud lightning I have ever seen in my life. 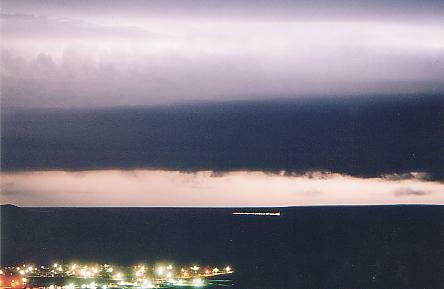 The cloud to cloud lightning would have averaged one flash every ten seconds (easily) for the couple of hours that watched (and photographed) its approach. That is why the anvil of these clouds appears white. The image below is probably the most impressive at showing the scale and intensity of this storm. 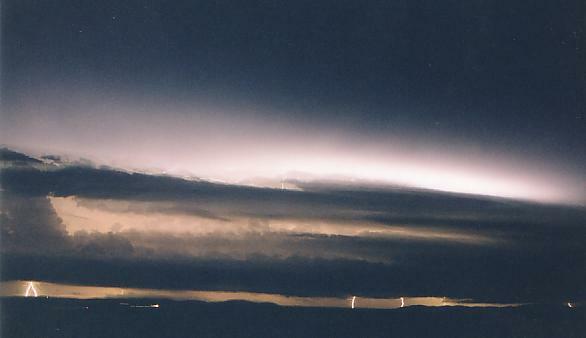 It also is a good illustration of just how much cloud to cloud lightning was around. There are more photos of this storm on next page.